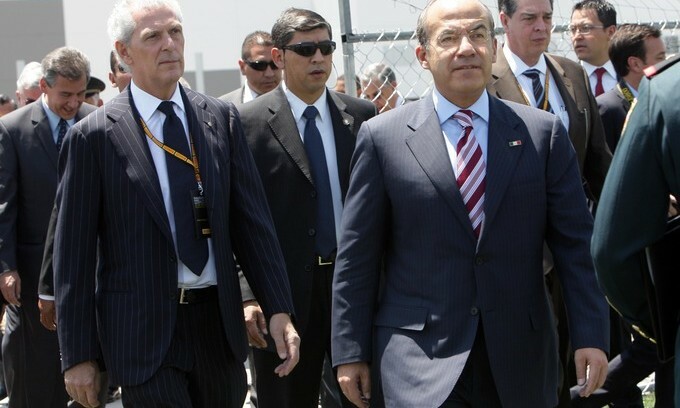 Mexico is a democracy in Central America. 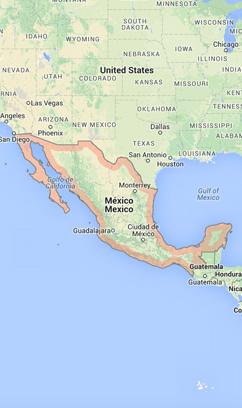 It has a surface area of 1,972,550km² and a population of nearly 118 million people. 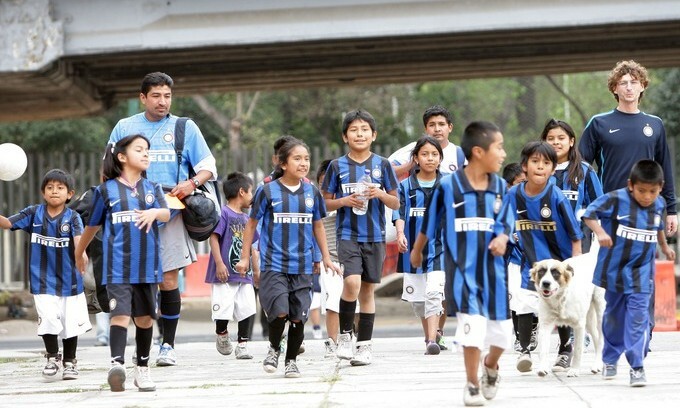 More than a quarter of these live in the capital, Mexico City. 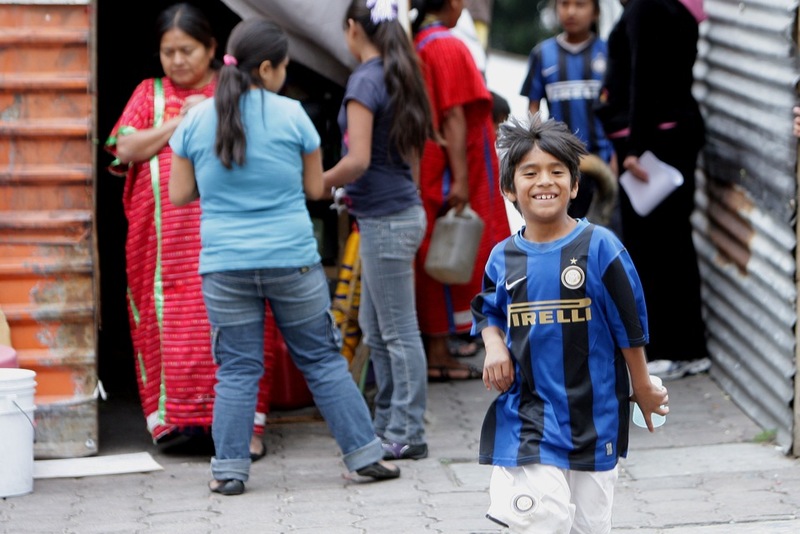 The country’s official language is Spanish. 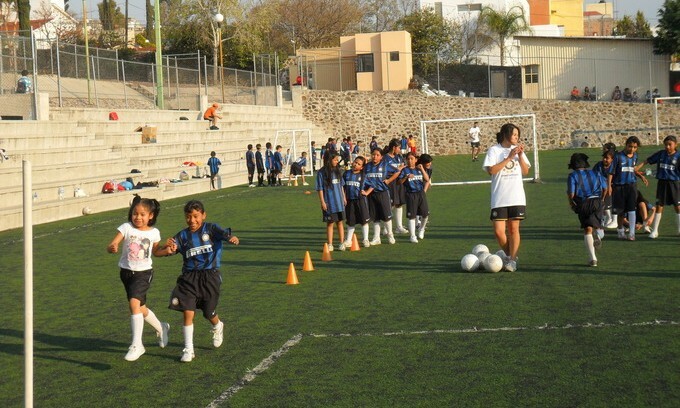 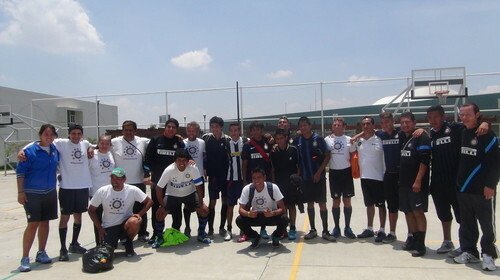 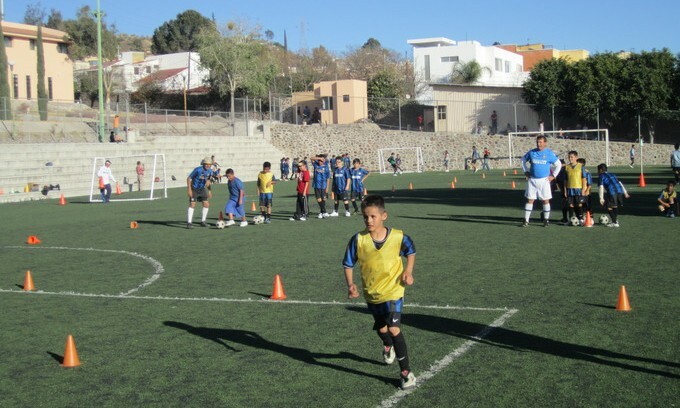 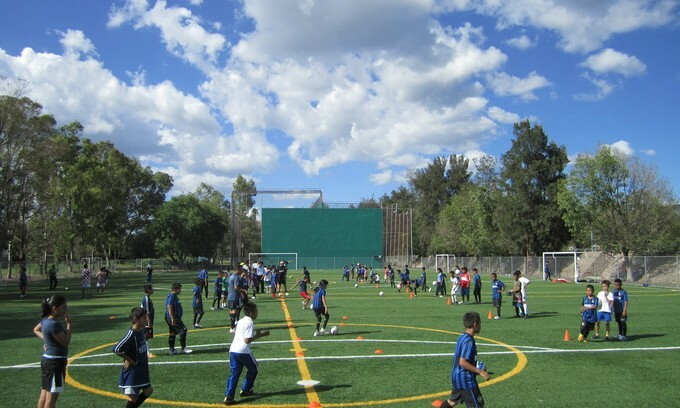 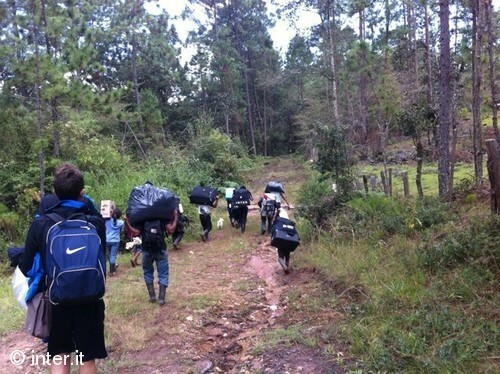 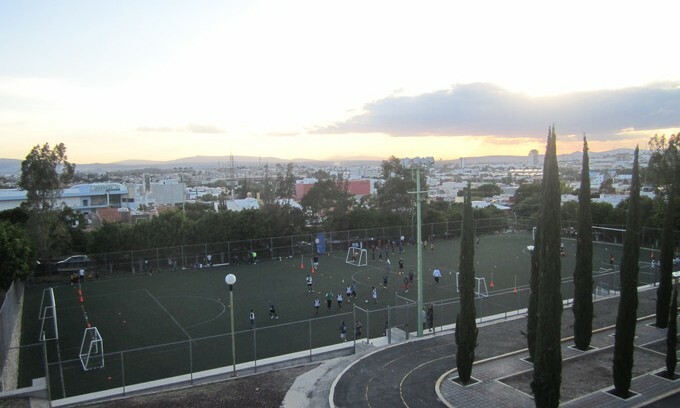 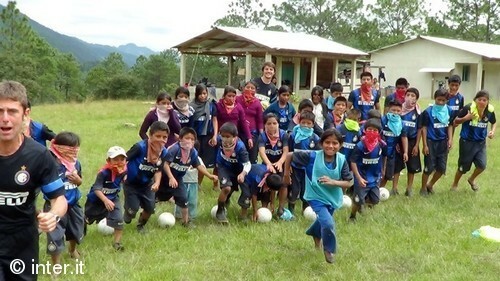 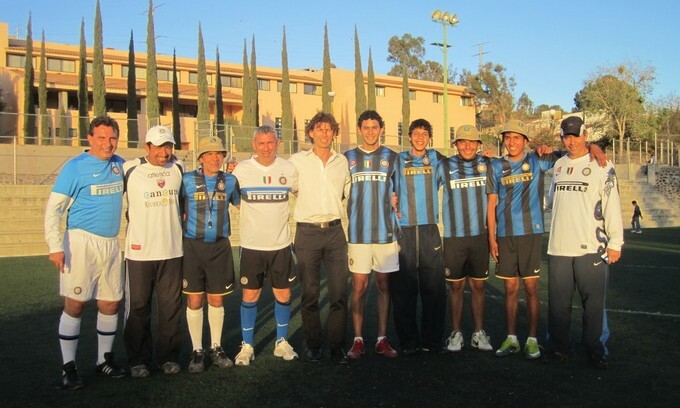 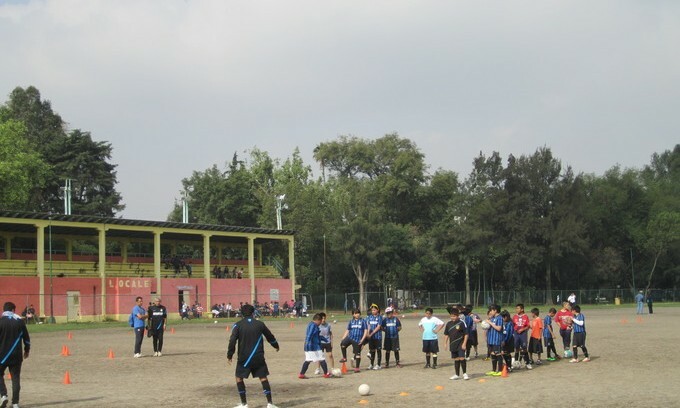 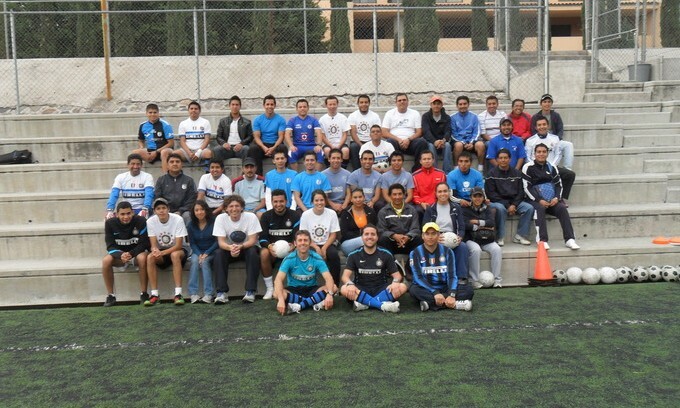 Inter Campus first began working in Mexico in 2004 with the general aim of promoting social integration, helping young people living in difficult areas, supporting the education system and training local instructors. 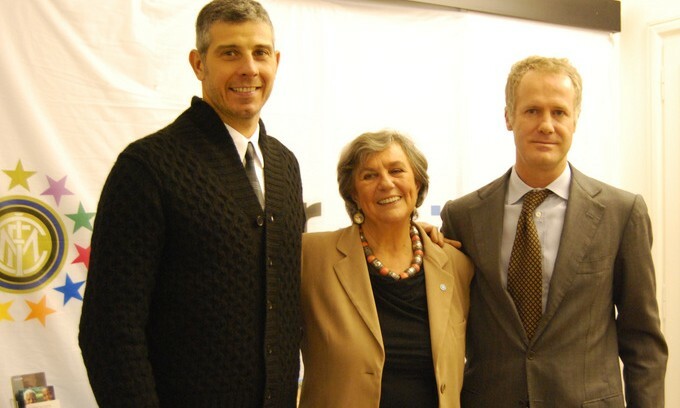 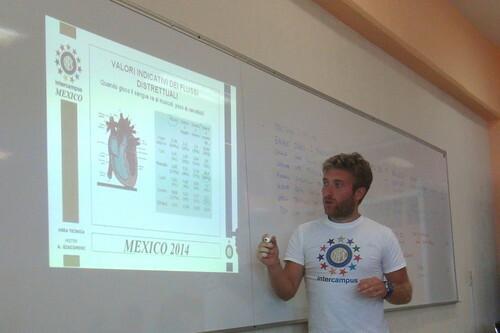 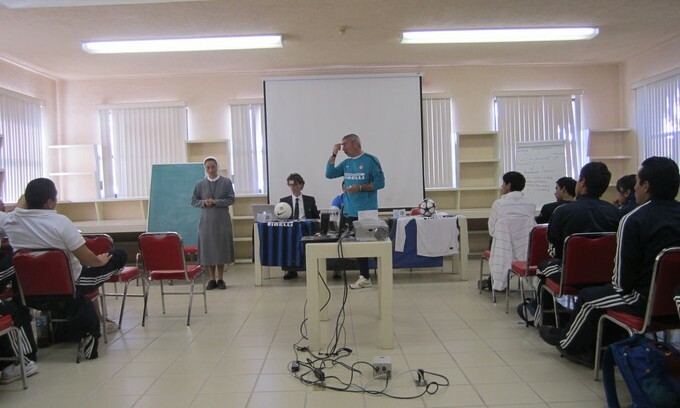 The first centre was set up in Queretaro, at the College of the Sisters of Saint Marcellina. 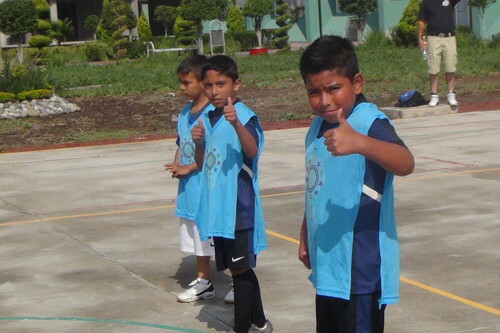 The scheme now works with more than 100 boys and girls with difficult family lives. 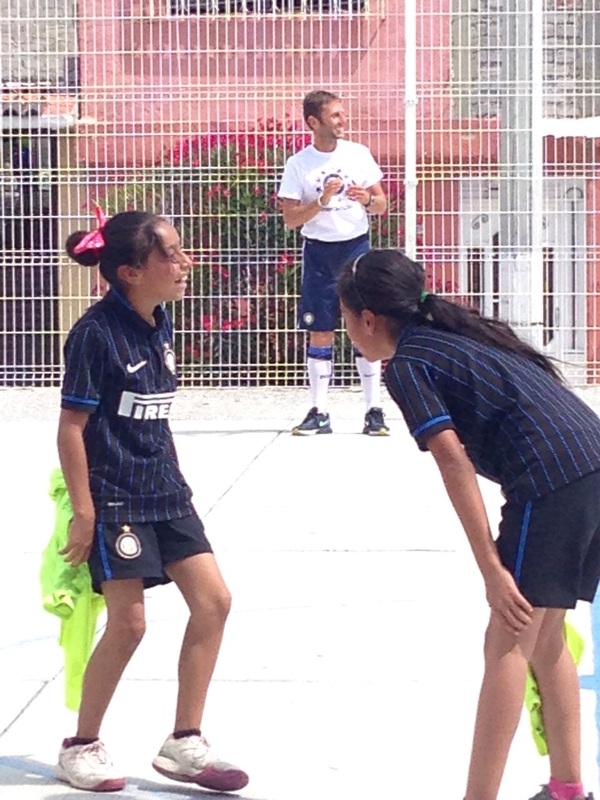 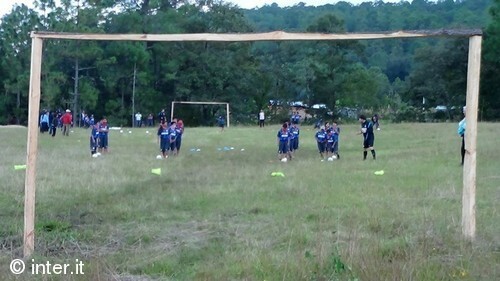 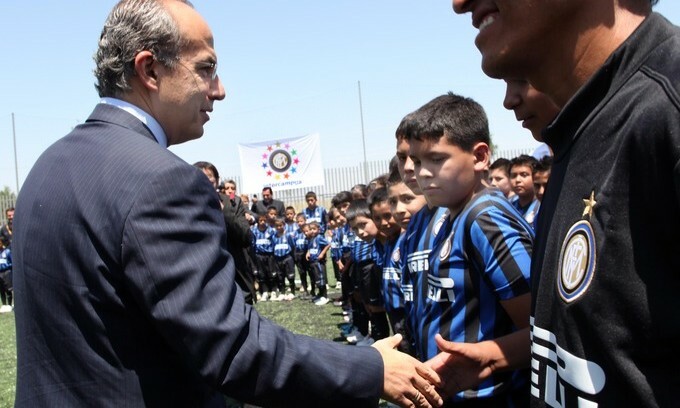 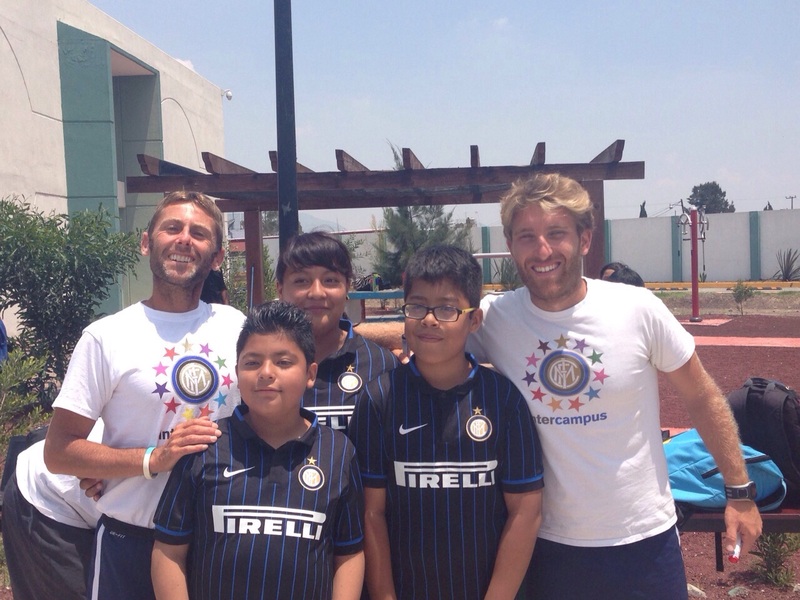 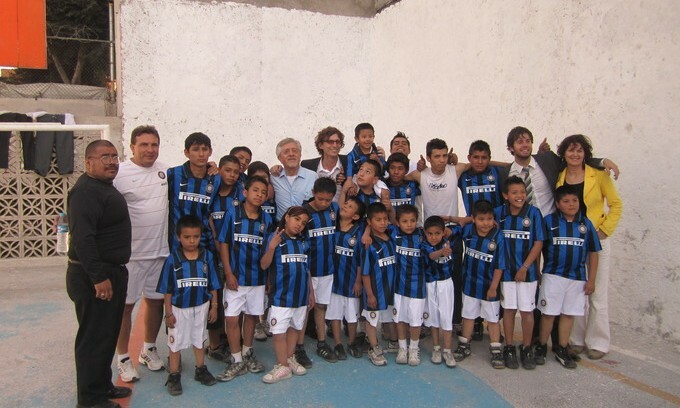 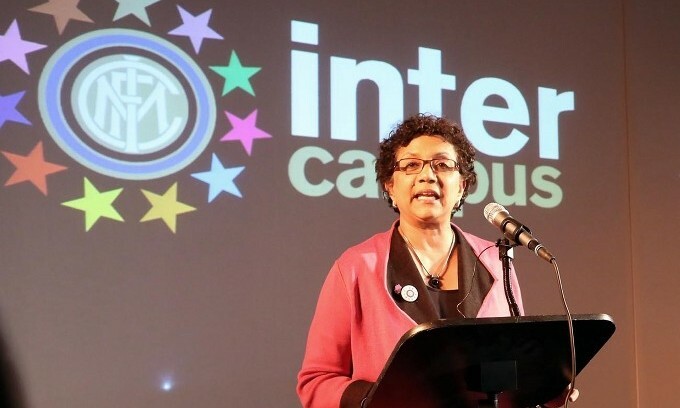 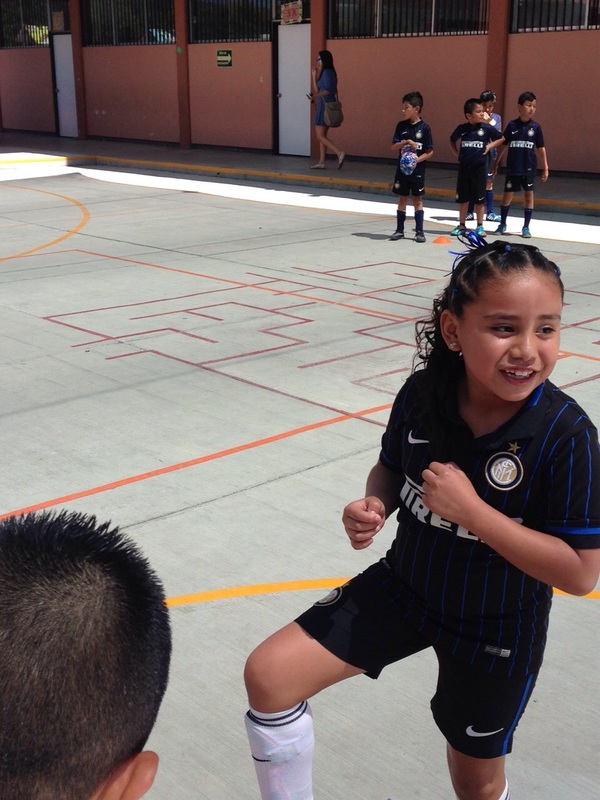 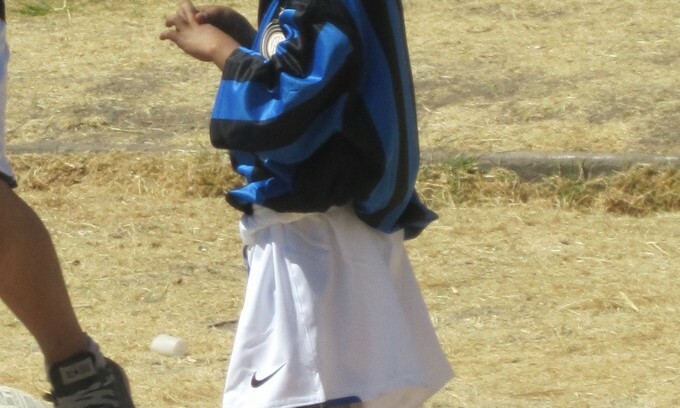 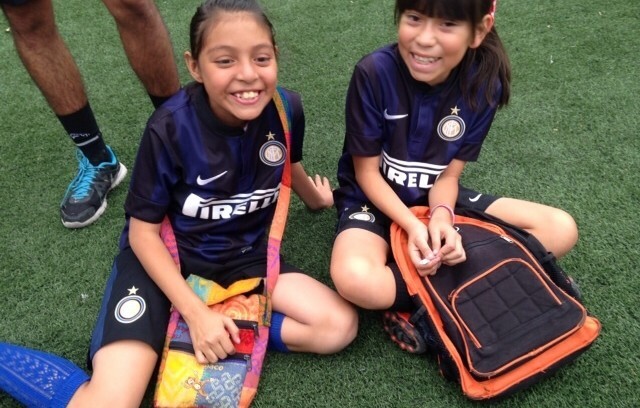 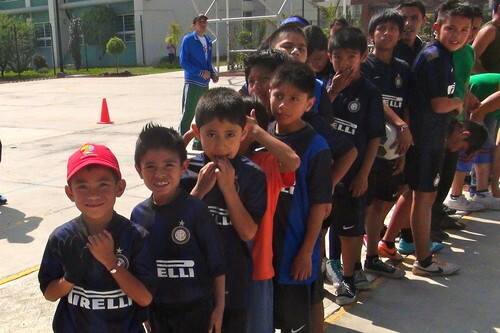 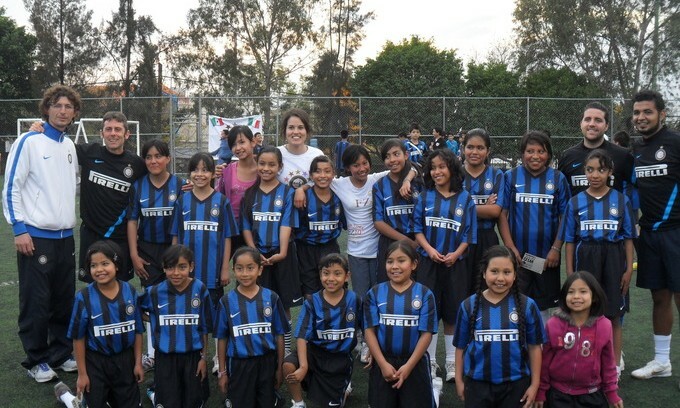 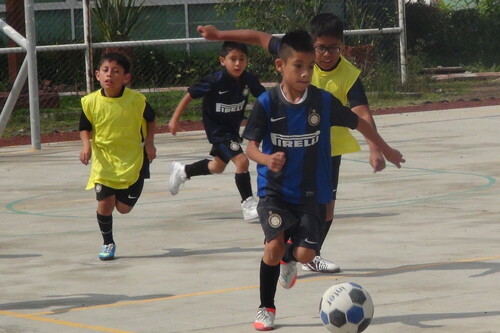 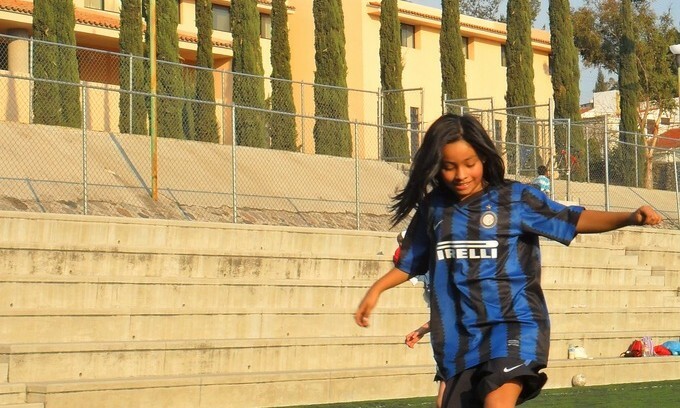 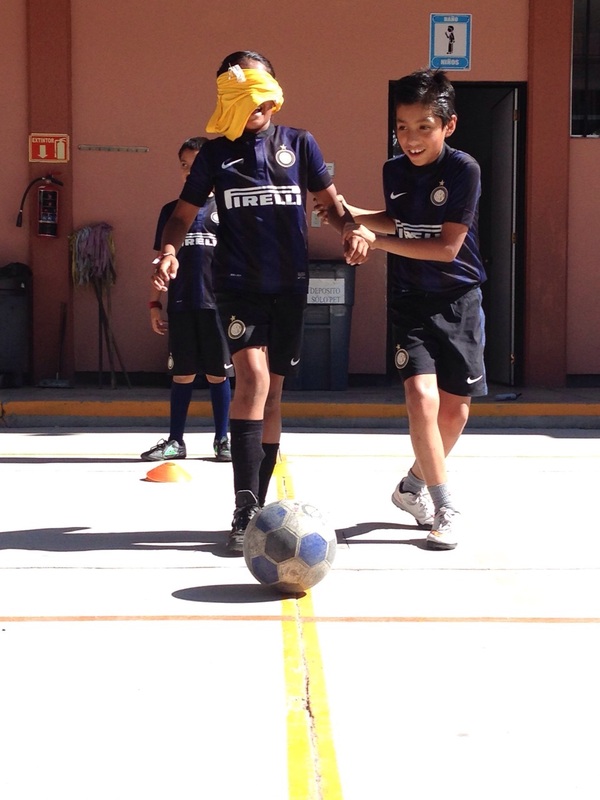 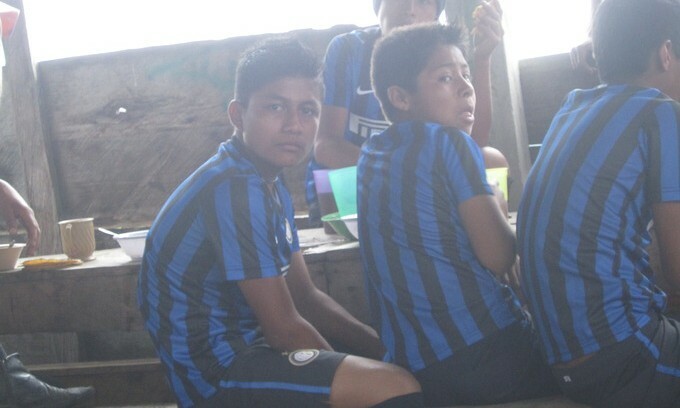 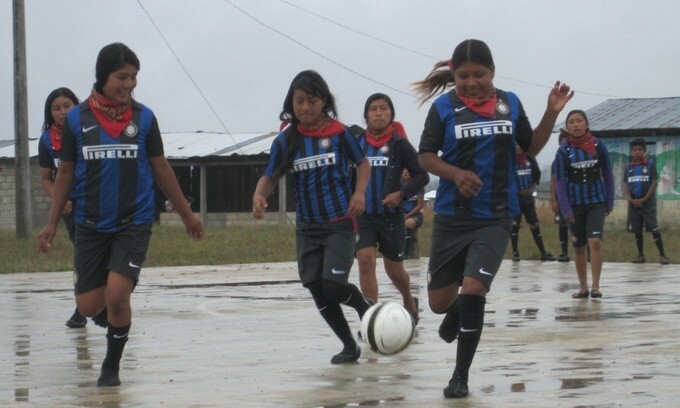 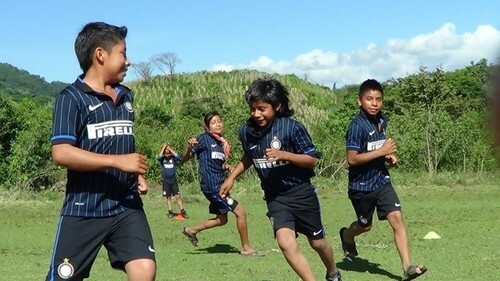 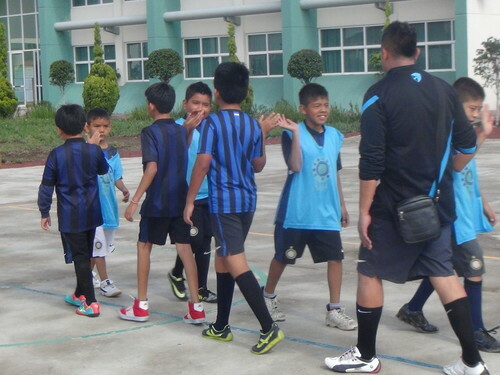 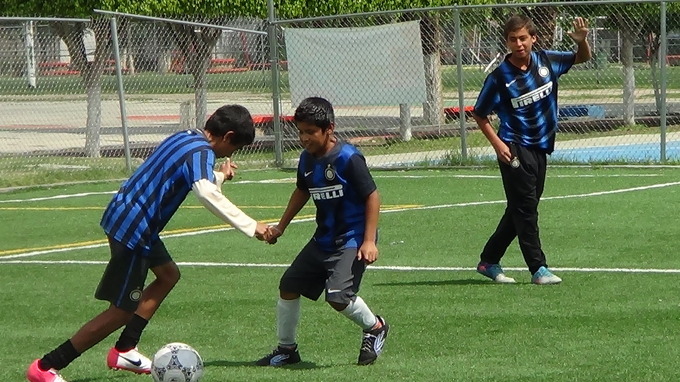 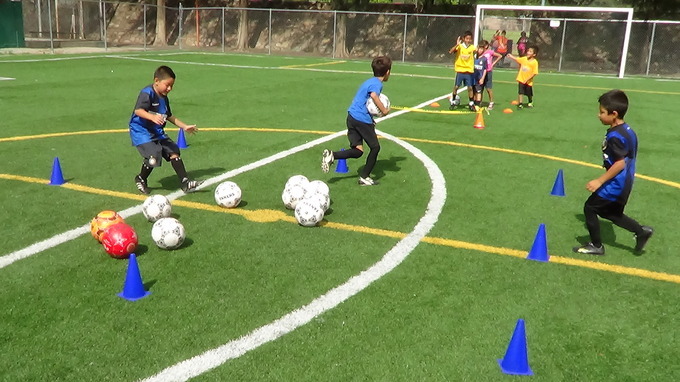 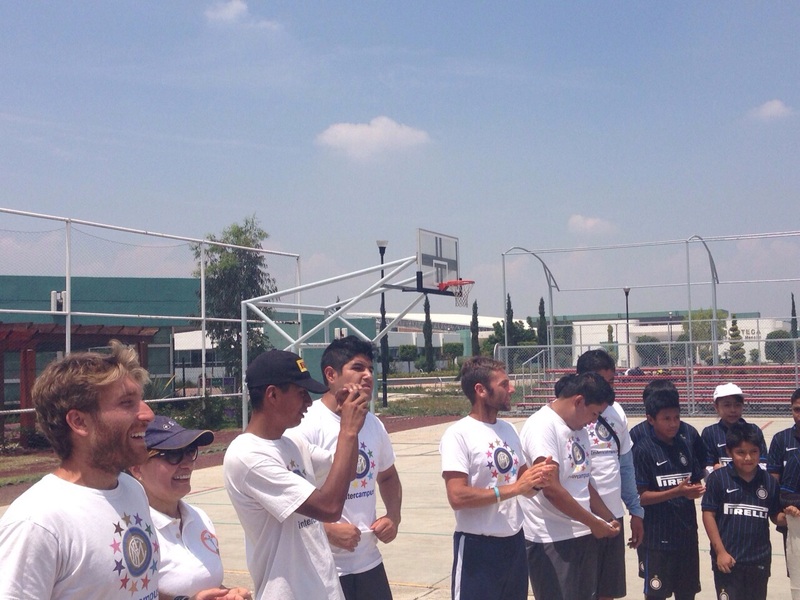 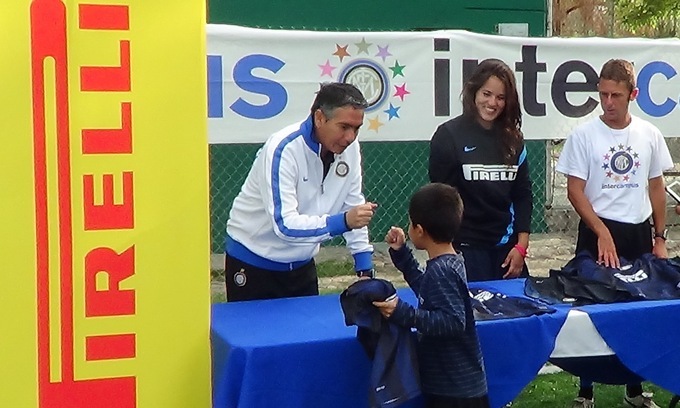 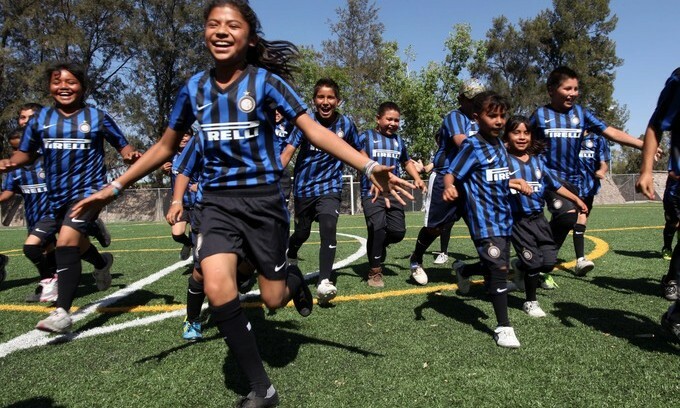 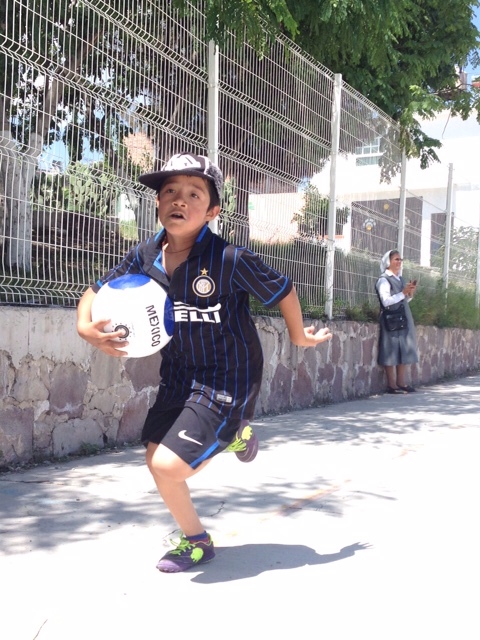 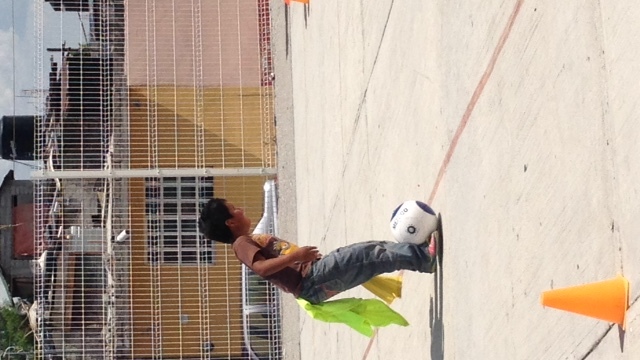 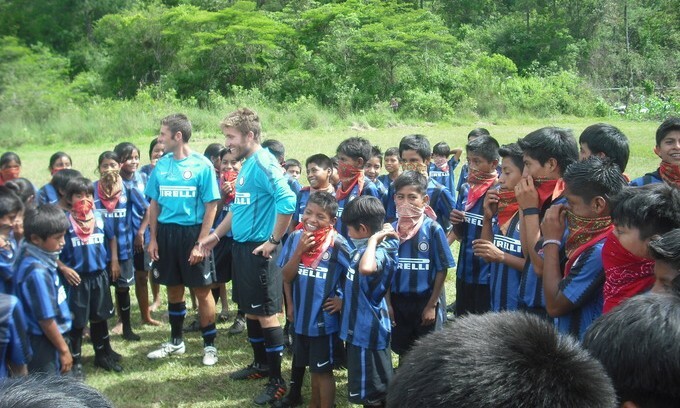 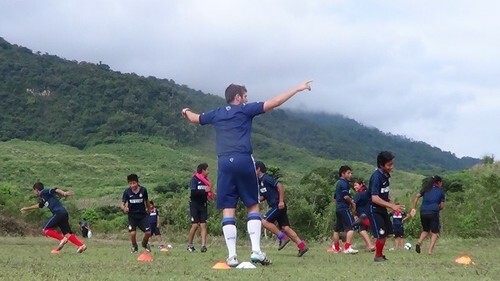 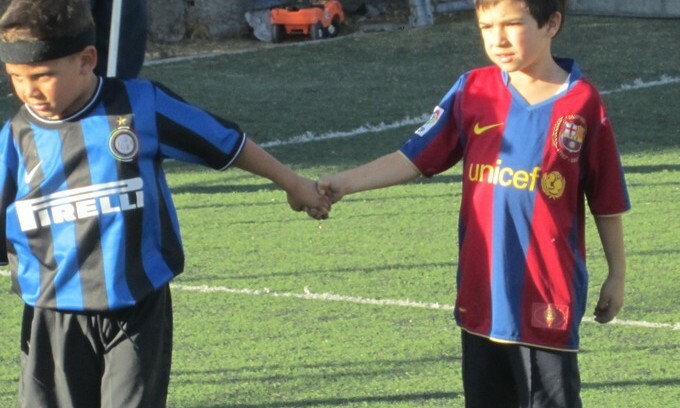 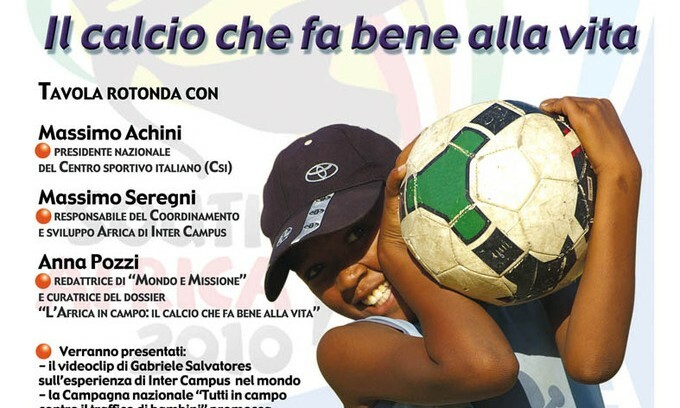 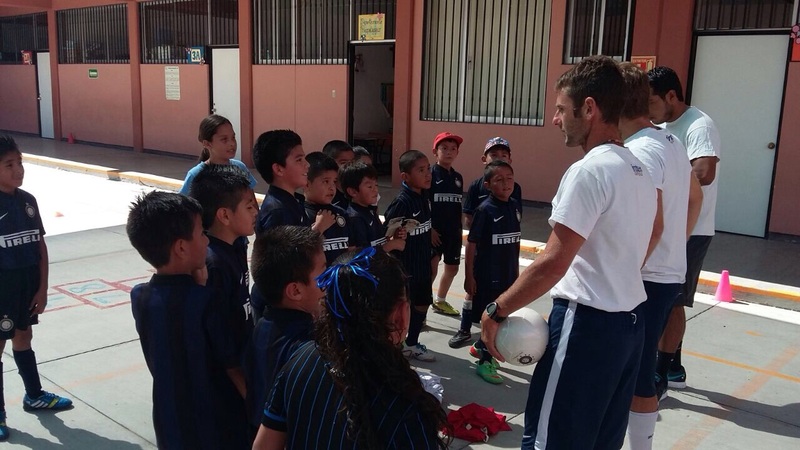 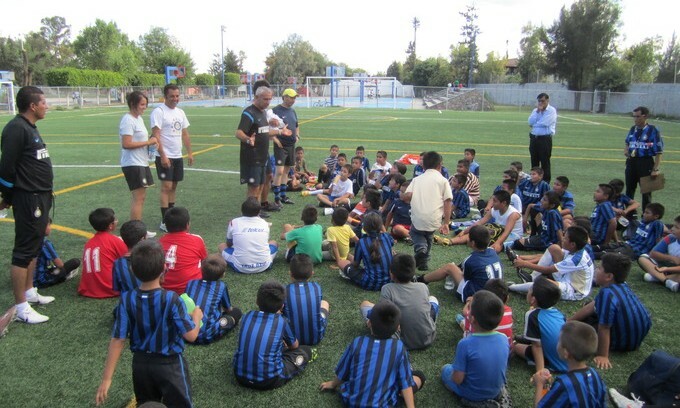 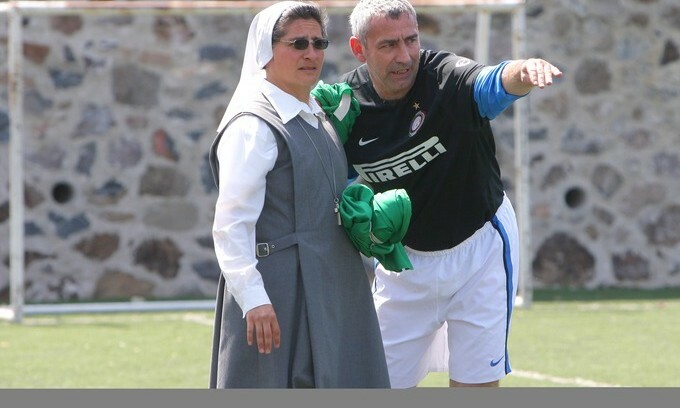 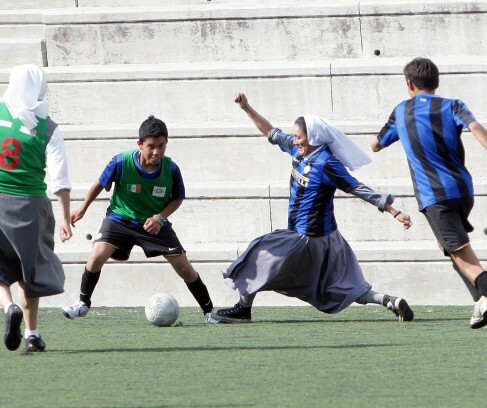 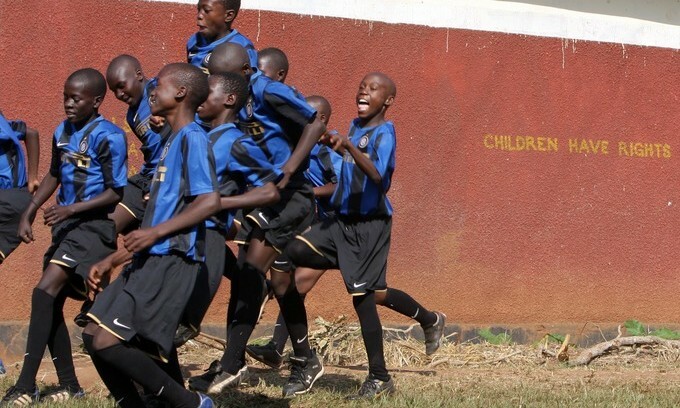 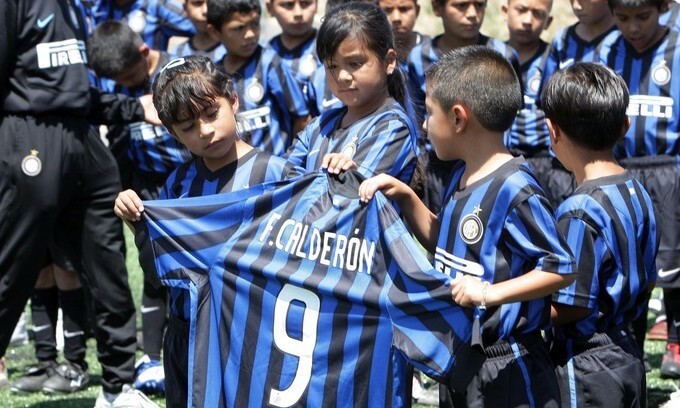 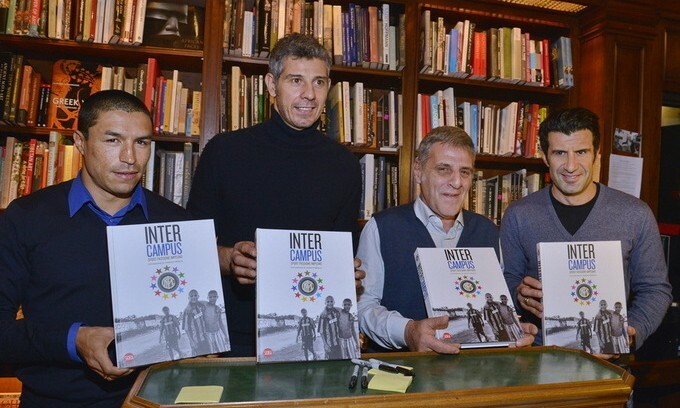 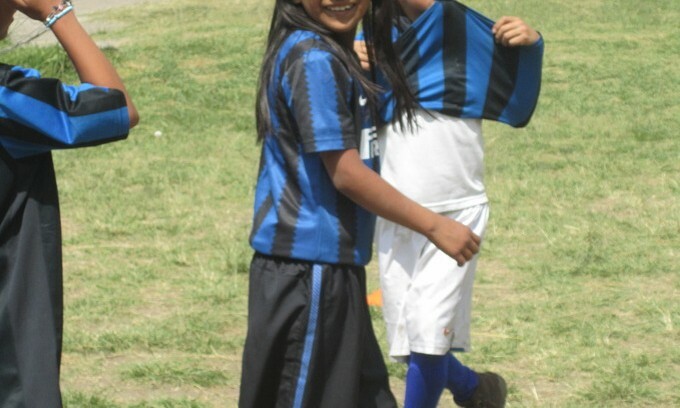 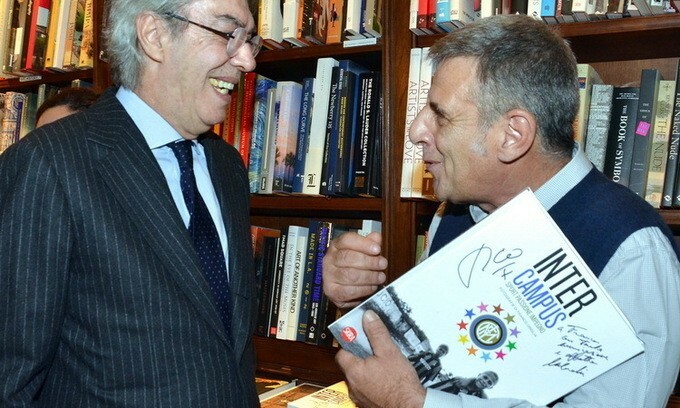 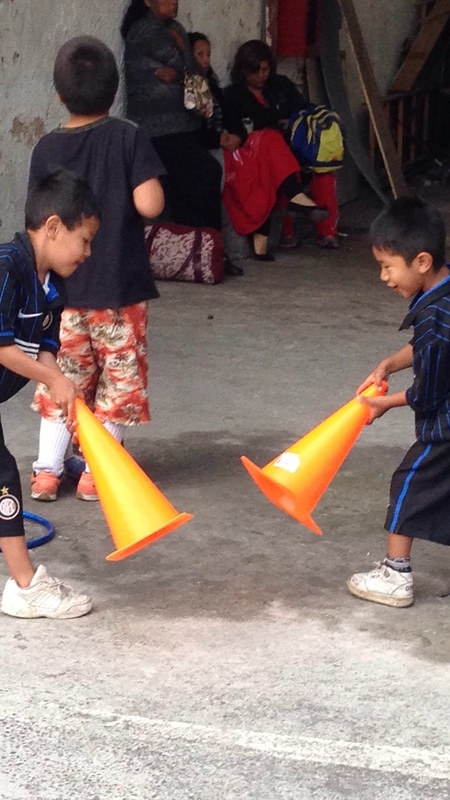 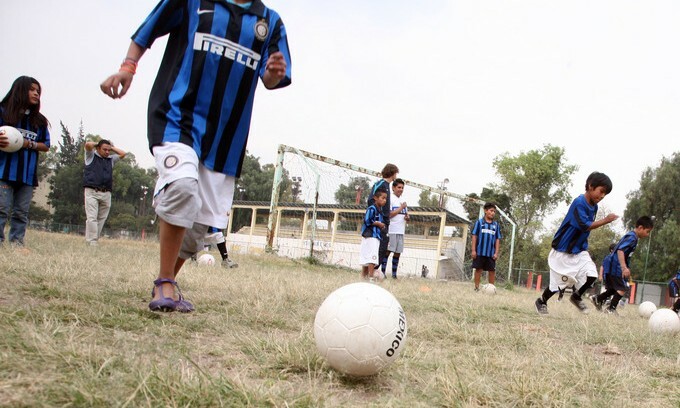 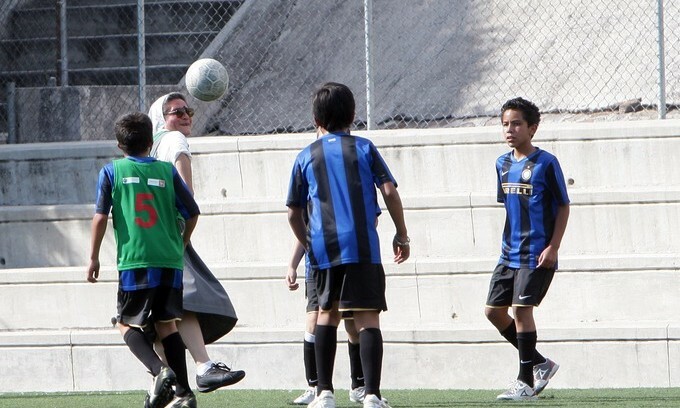 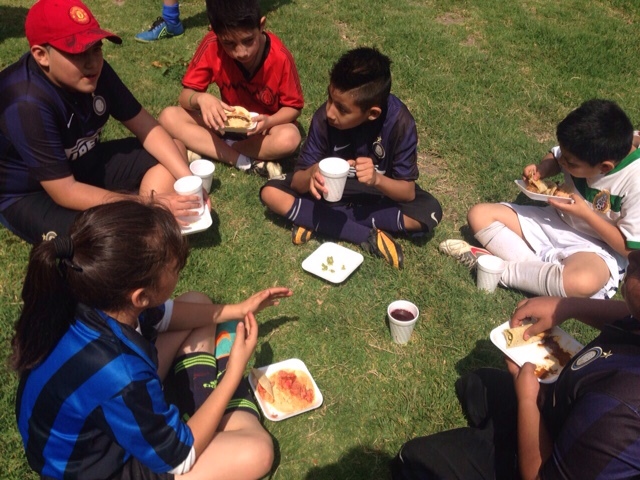 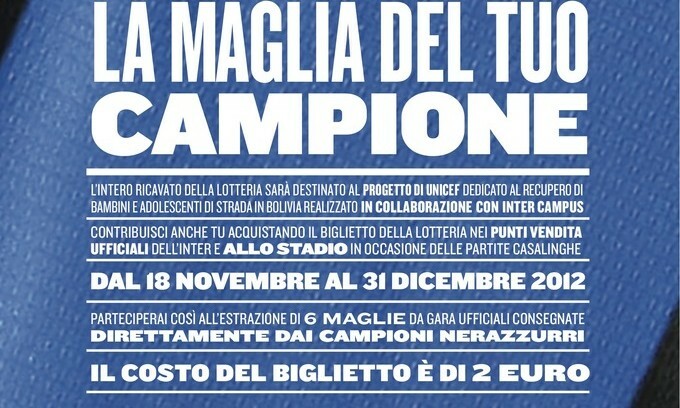 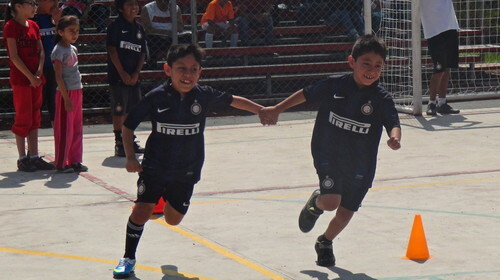 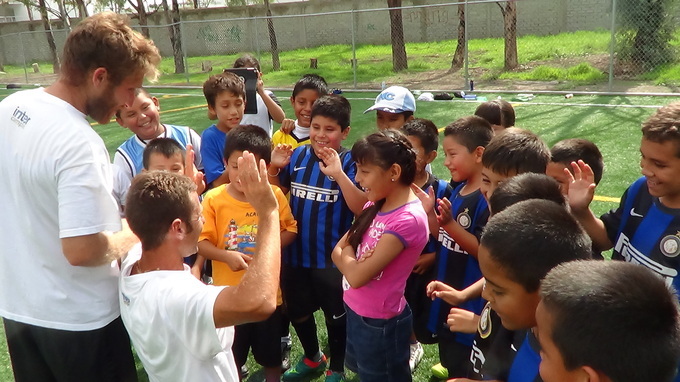 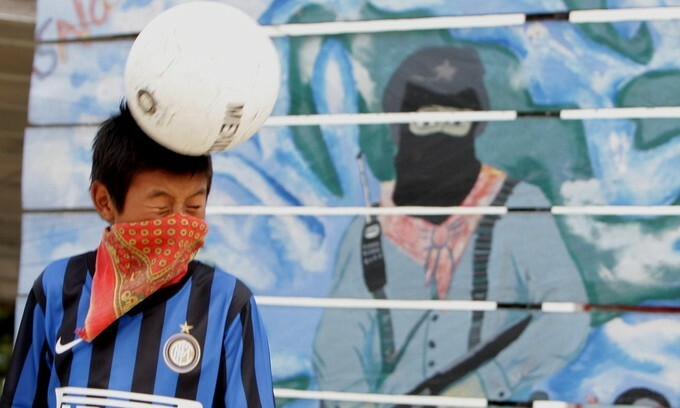 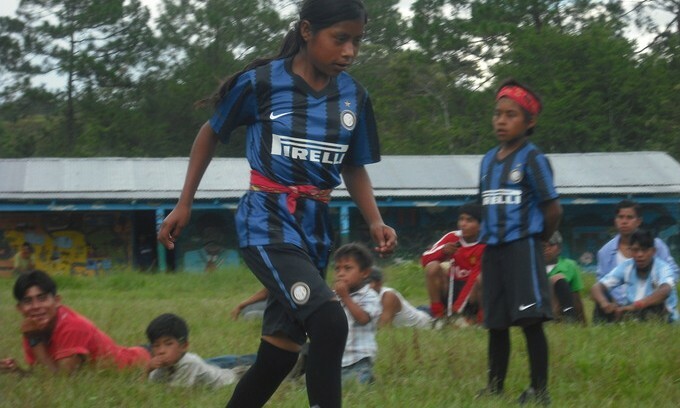 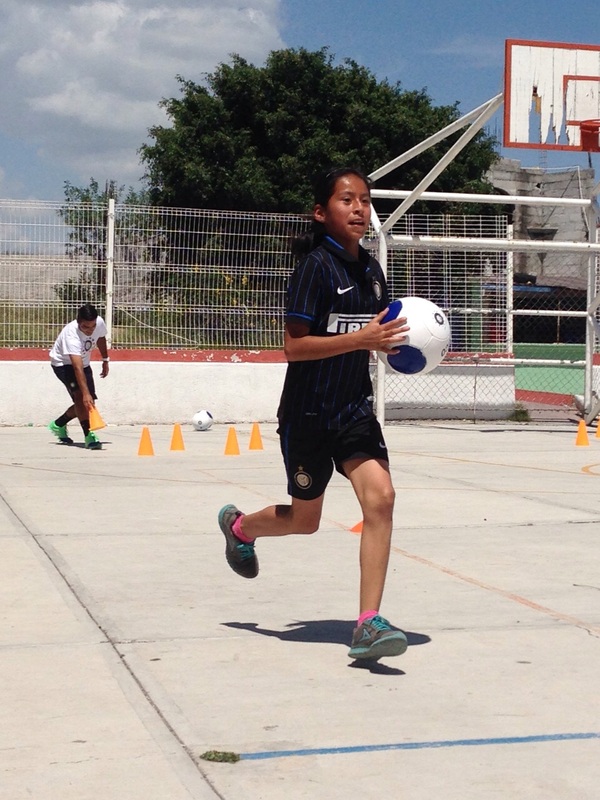 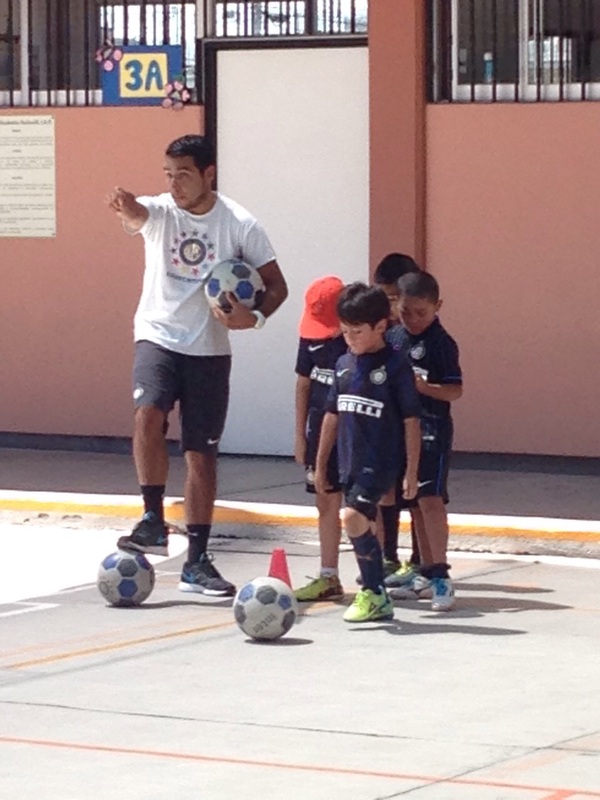 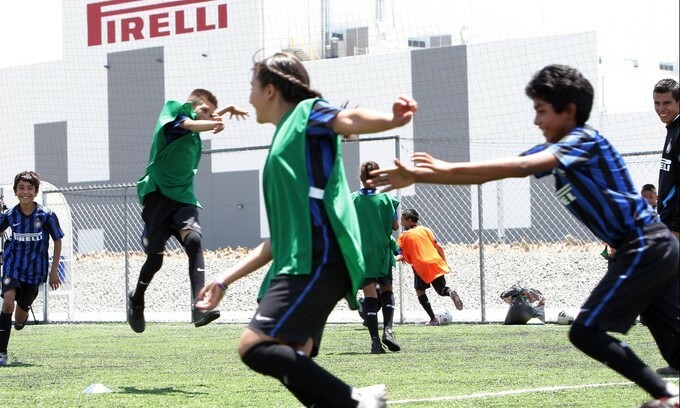 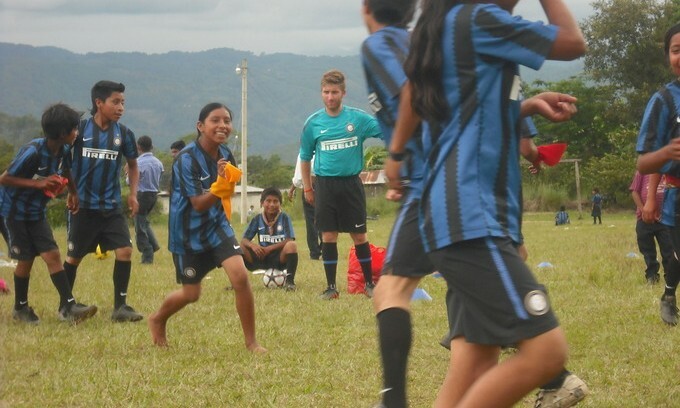 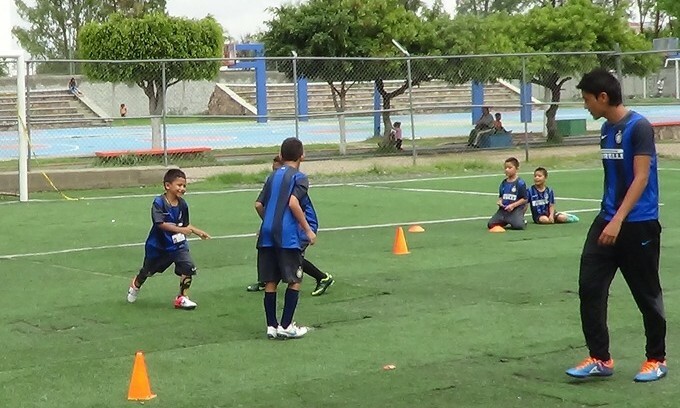 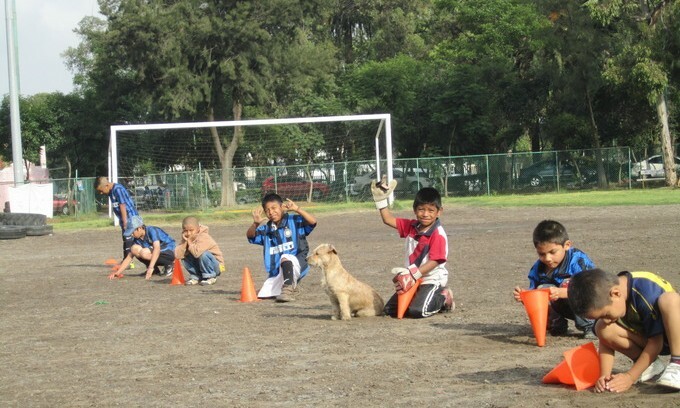 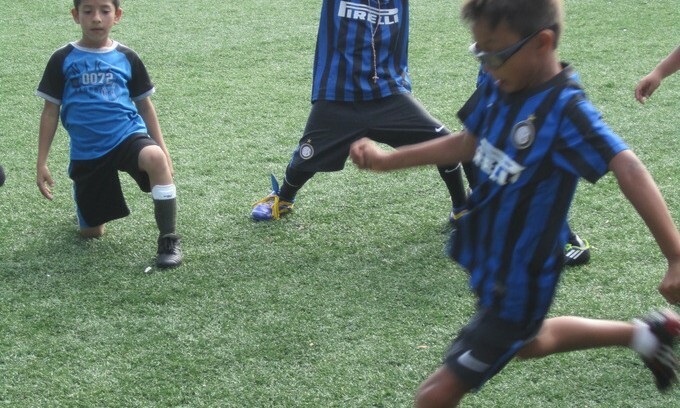 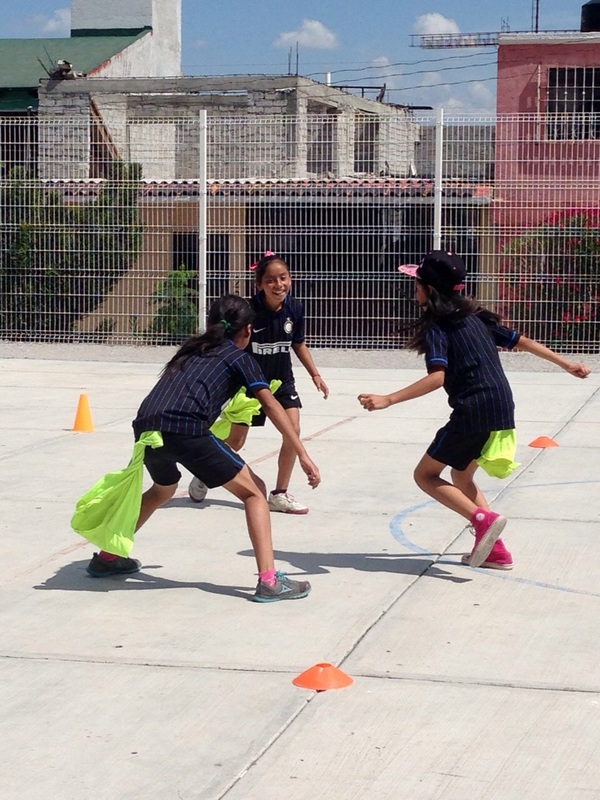 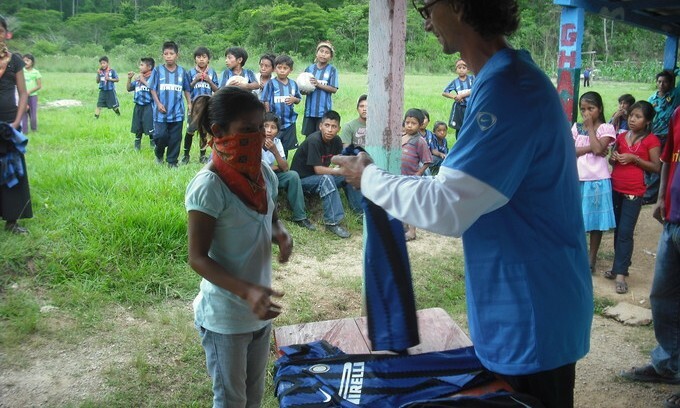 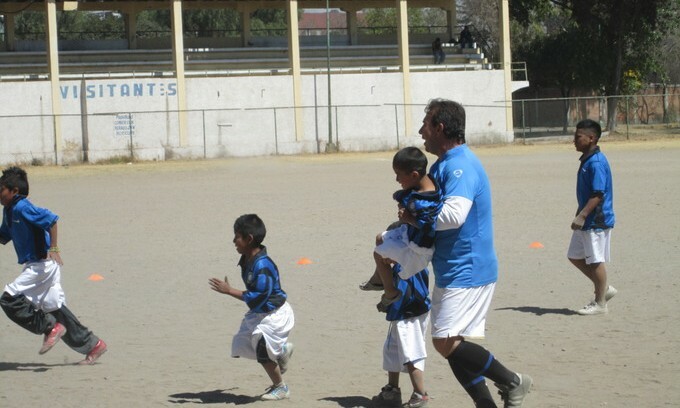 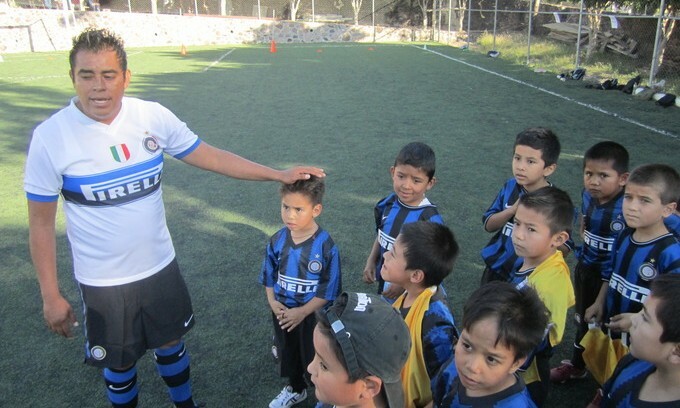 Inter Campus uses the game of football as a tool to promote values such as acceptance, respect of diversity, healthy human growth and social integration. 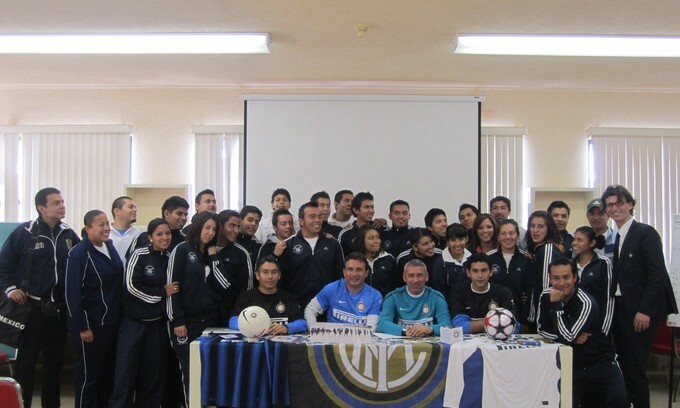 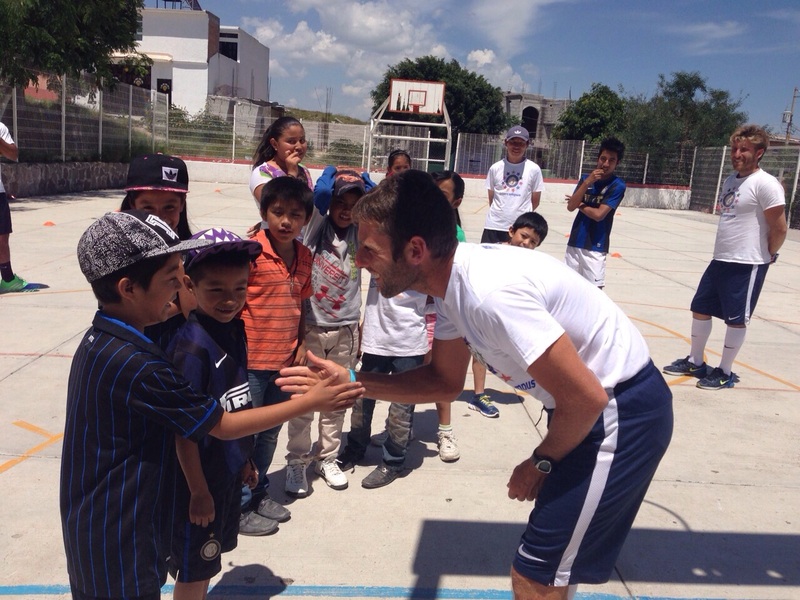 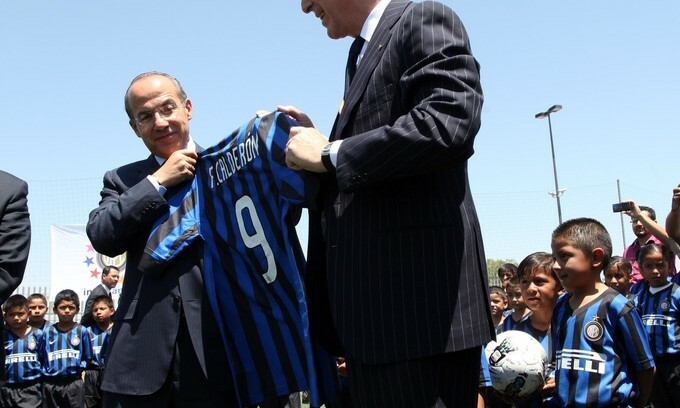 Three Inter Campus sites have been operational in Mexico City since 2011. 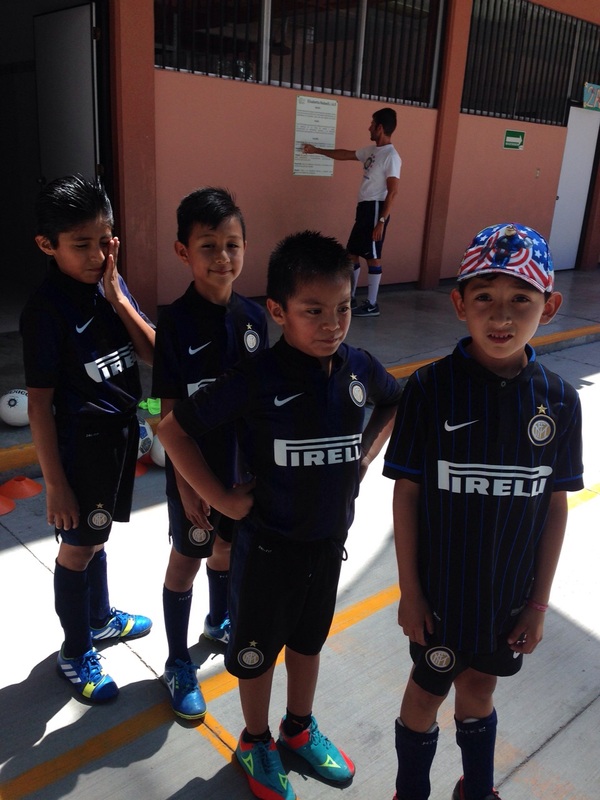 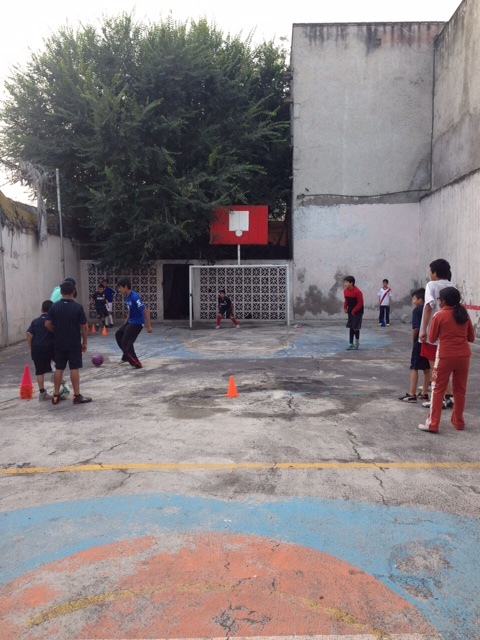 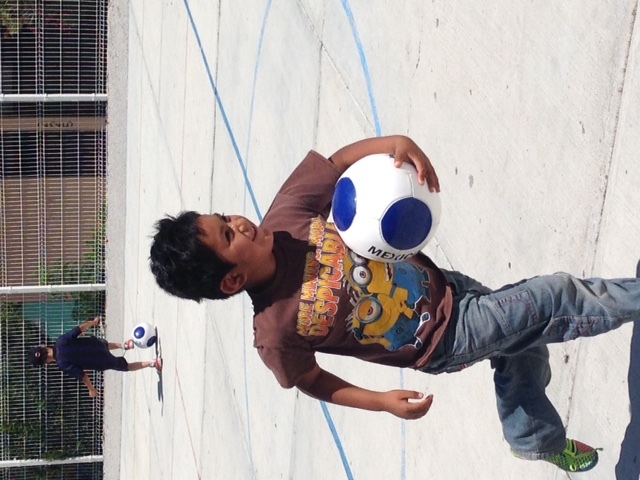 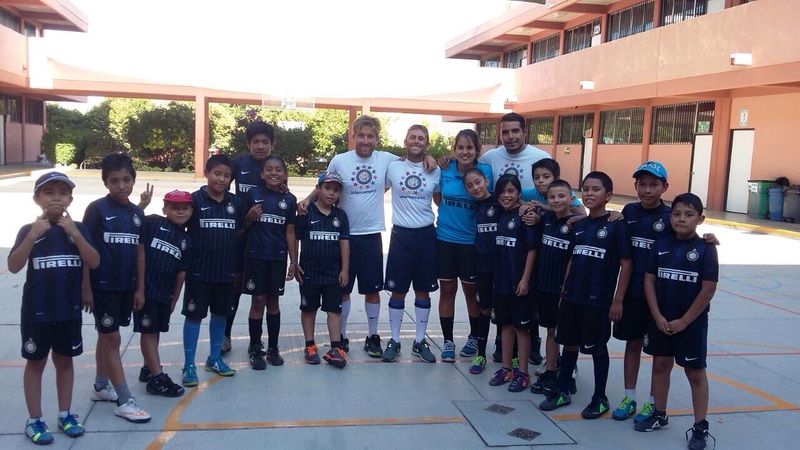 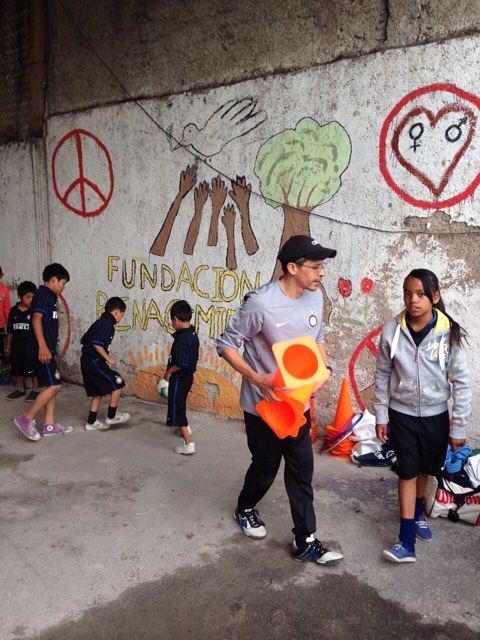 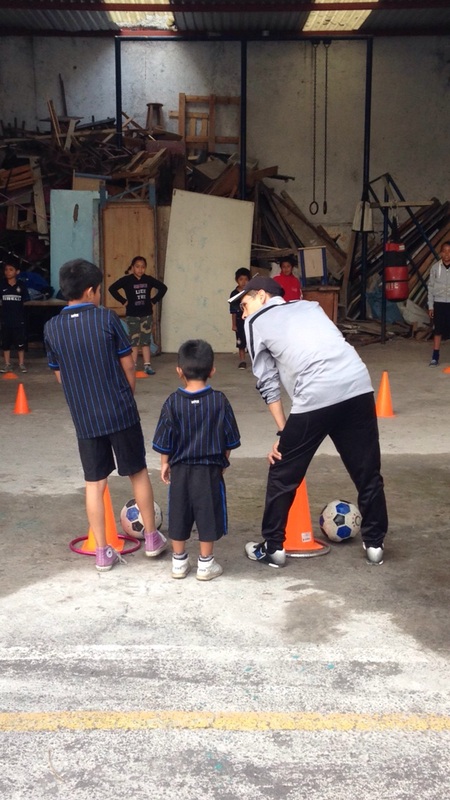 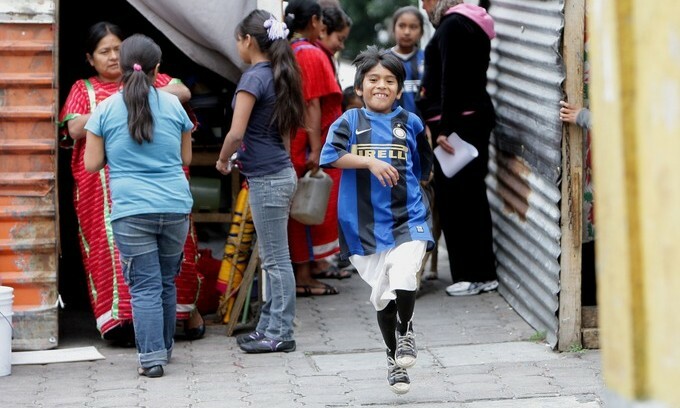 Inter Campus works with the Renacimiento foundation and 70 boys and girls who live on the streets in the poor neighbourhood of Tepito. 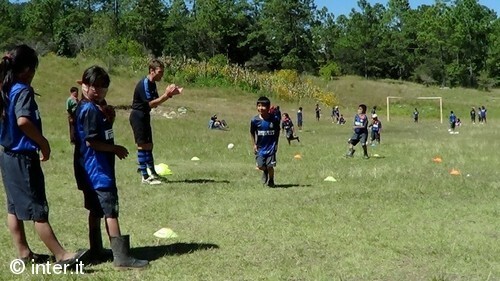 The project aims to foster social integration for marginalised children, fight drug and alcohol abuse and possible social deviance by educating the children and local instructors via the use of sport. 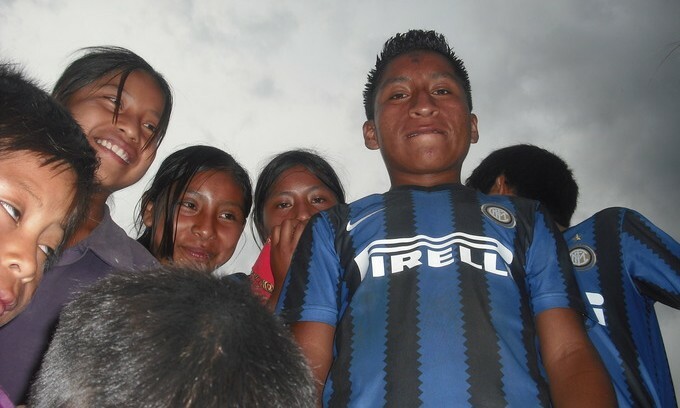 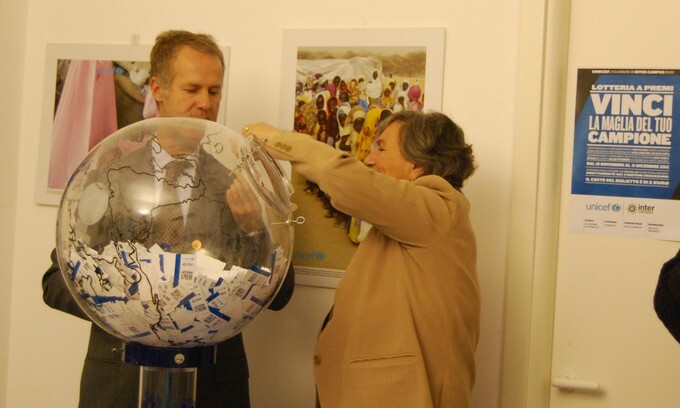 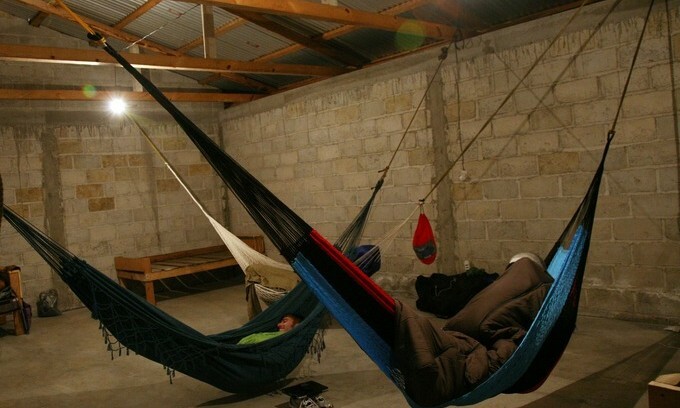 Once again alongside the Sisters of Marcellina, Inter Campus has created a social integration project which helps the Triqui children – the indigenous people of the state of Oaxaca – who live in the metal-sheet shanty towns in the city centre, just a few yards from the parliament. 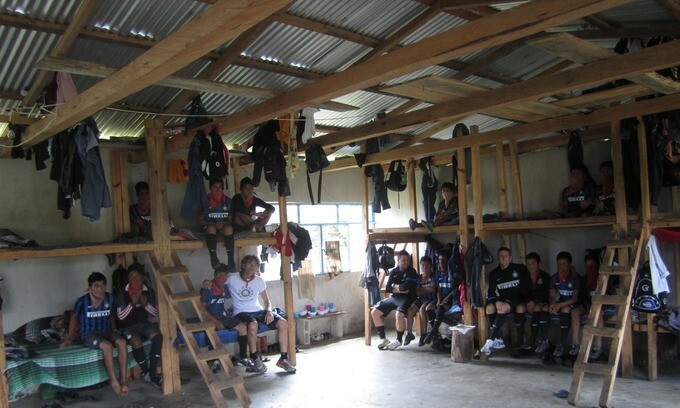 A scheme to help 30 children living in difficult conditions near the UNEVE university was launched in June 2012. 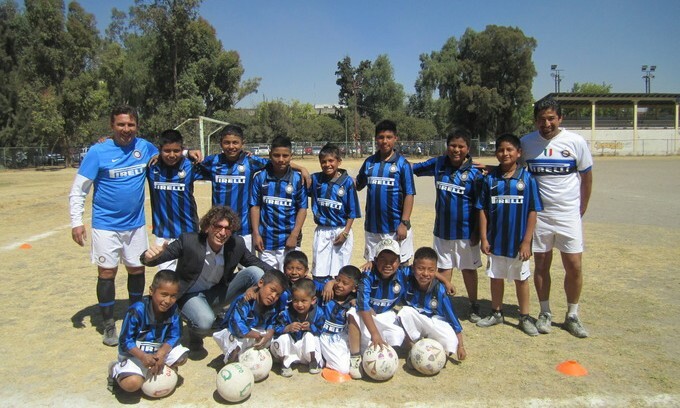 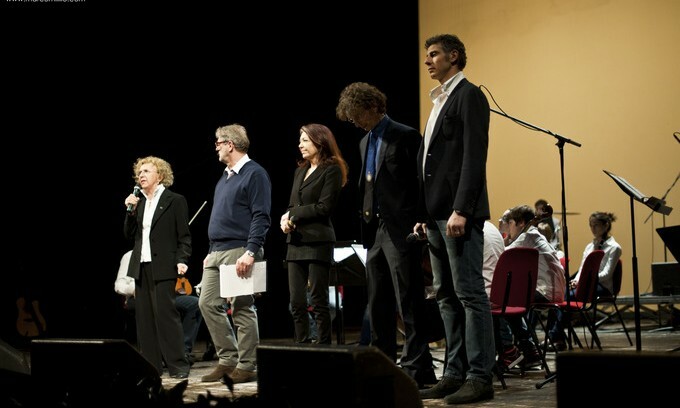 2012 saw the foundation of another project, in collaboration with the Hogar Peter Pan shelter and the support of Pirelli Mexico, which helps 100 children in Silao. 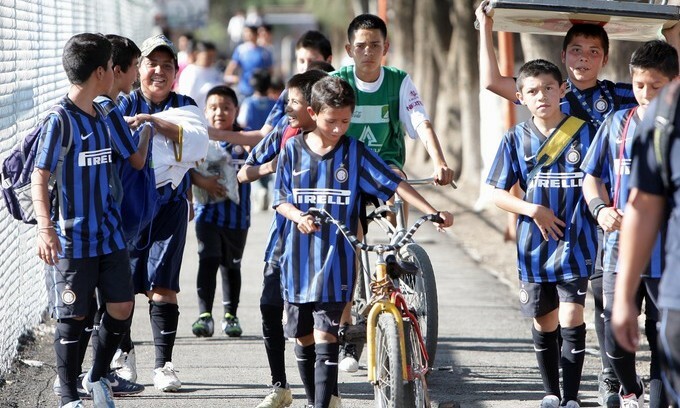 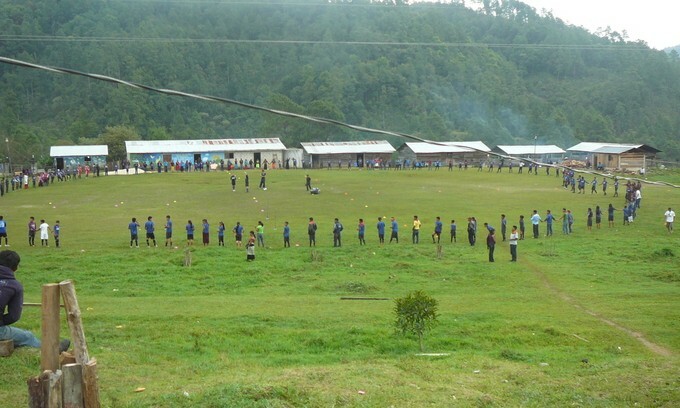 Many of these youngsters come from poor families who live in the neighbourhood surrounding the sports centre, while others are the kids of factory workers. 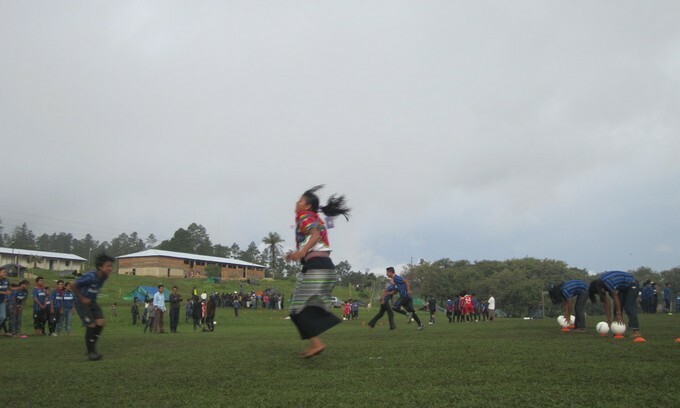 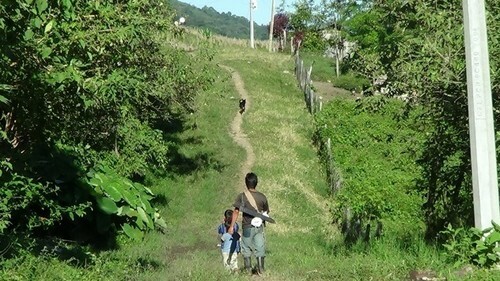 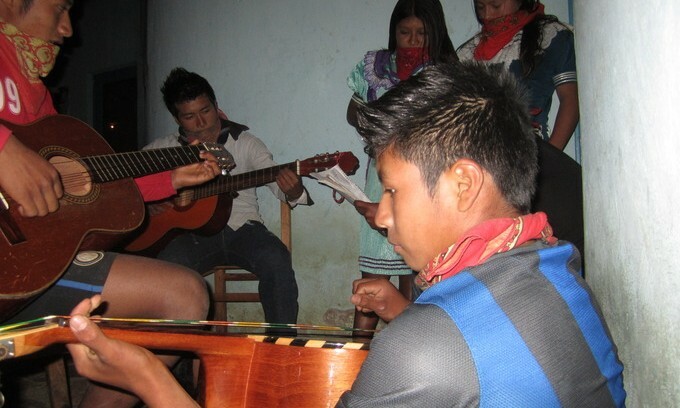 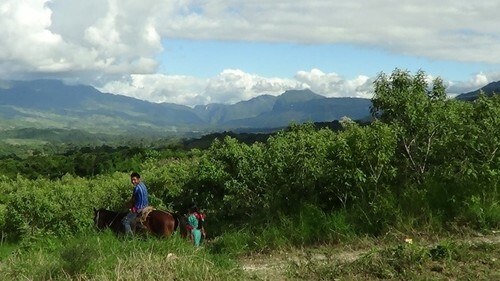 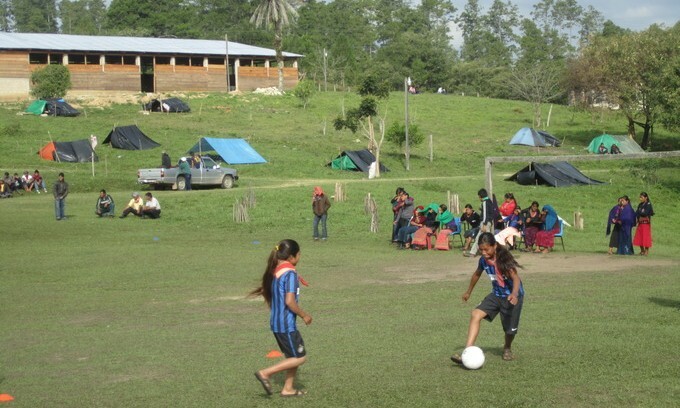 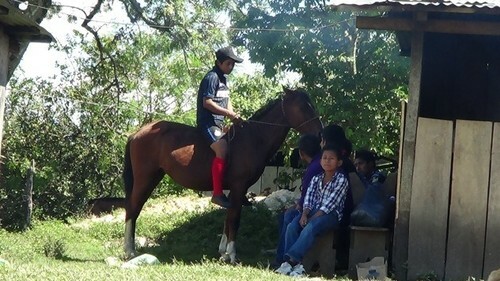 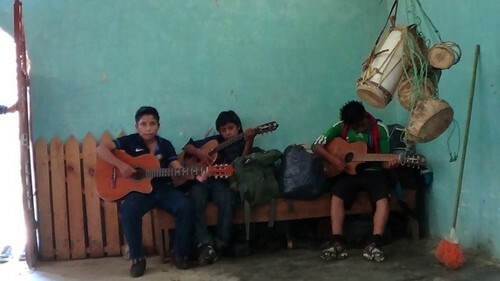 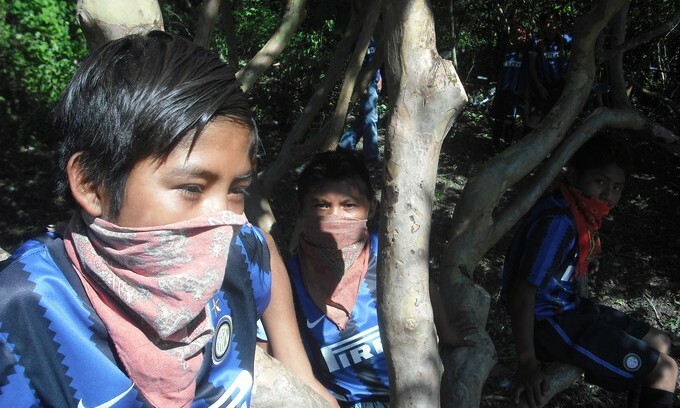 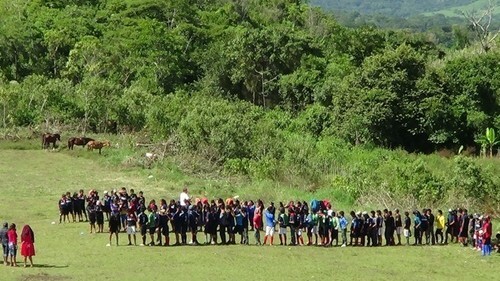 Inter Campus also operates in Chiapas, working towards the sustainable development of the autonomous educational system in the indigenous Zapatista communities. 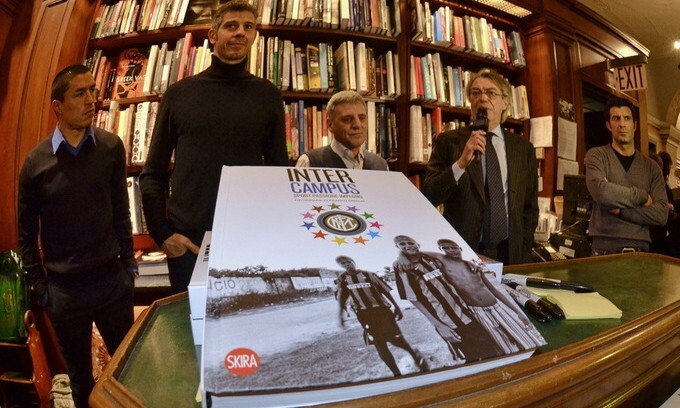 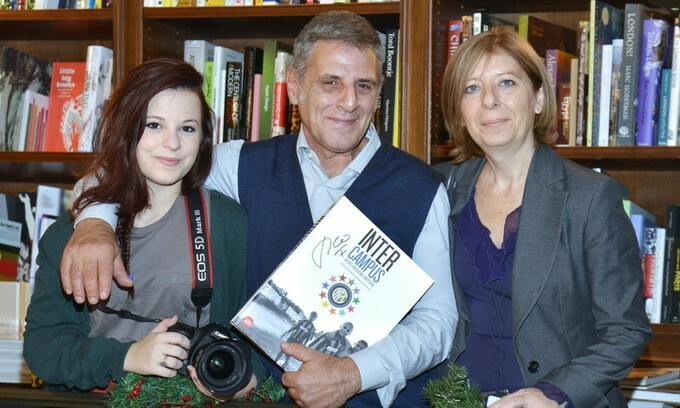 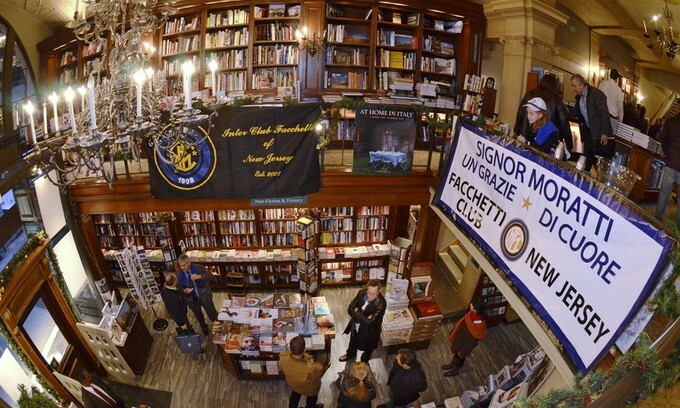 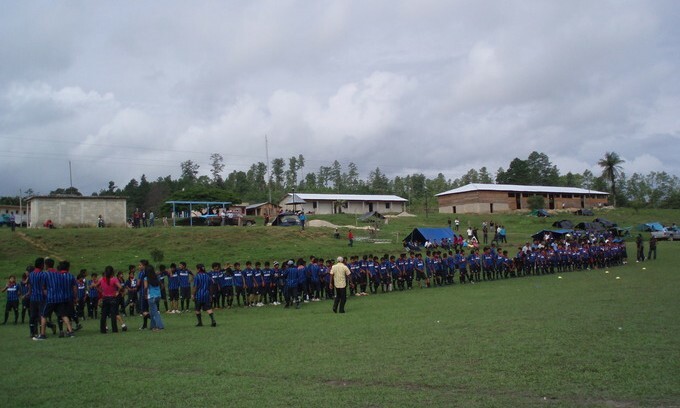 Inter Campus works with over 300 boys and girls in the region, as well as more than 150 sports ‘promoters’. 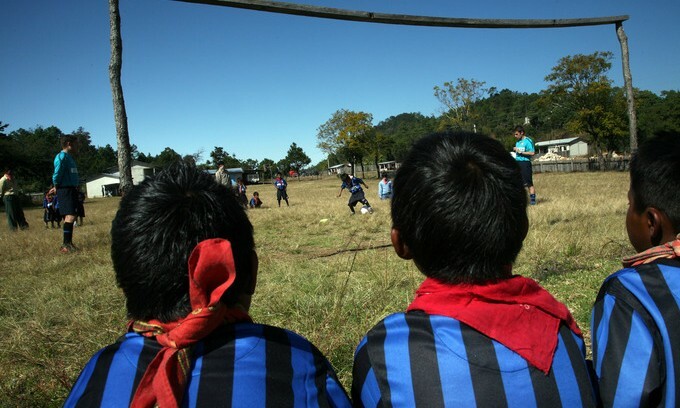 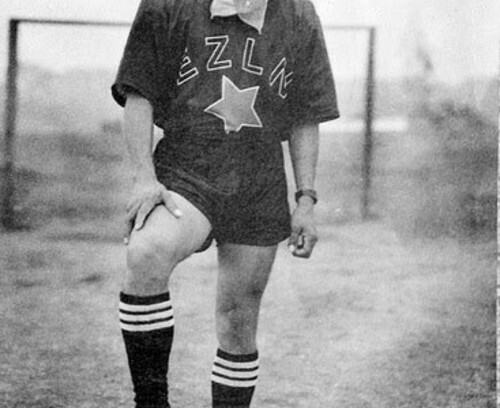 Zapatista sport here is seen as pure and simple, competitive but only in order to improve skills which will be useful in everyday life: hard work, integrity, good will, respect for others and the rules, helping others and working as a unit.